Great Imhotep, there's an Easter egg for the OG "Mummy" in the *new* "Mummy"
Big news, Mummy maniacs: There’s an Easter egg in director Alex Kurtzman’s 2017 Mummy reboot that suggests it could be connected to the films starring Brendan Fraser. Kurtzman’s reboot is set in the modern world and largely takes place in London, while the first in Fraser’s series of Mummy movies is set in the 1920s in the fictional city of Hamunaptra, Egypt. (That’s not to forget the 1932 Mummy film, but we’re focusing on Fraser here.) So while these films are quite different, they have a common link: The Book of Amun-Ra. You know, THIS book, which adventurer Rick (Fraser), librarian Evelyn (Rachel Weisz), and her brother, Jonathan (John Hannah), used to defeat their mummy, Imhotep (Arnold Vosloo). As a refresher, the ’99 Mummy featured two books: The Book of the Dead and the Book of Amun-Ra. Evelyn accidentally brought Imhotep back from the dead when she read a page from the prior aloud, but then made him mortal using the latter — allowing him to be killed. The Book of Amun-Ra appears in the ’17 film, if only briefly. 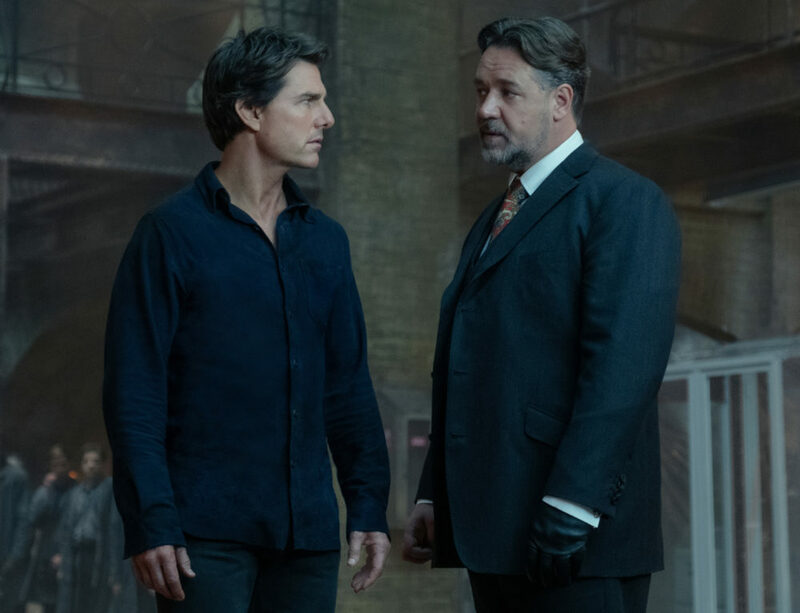 Tom Cruise’s Nick Morton faces off with Russell Crowe’s Dr. Henry Jekyll/Mr. Hyde at the headquarters for the Prodigium, a secret organization determined to defeat the world’s monsters — including Sofia Boutella’s mummy. Archaeologist Jenny Halsey (Annabelle Wallis), who secretly works for the Prodigium with Jekyll, tries to break up the altercation, and uses a book to fight off Jekyll’s employee in the process. The camera lingers a little longer on the book than what would seem normal — and with good reason, because it’s the Book of Amun-Ra. Is this just a nod to what came before? Or does the Easter egg suggest that the movies are linked? The films are set many years apart, but they have a knack for resurrection…get it?! So, if there’s a Mummy follow-up within Universal’s Dark Universe, we wouldn’t be surprised if we saw more overlap. And if that is to happen, consider this our formal request for a Fraser cameo.